A wizened and respected Torah sage was in the middle of Shabbat afternoon prayers when he felt extremely weak and collapsed unconscious in his own synagogue in Bnei Brak. 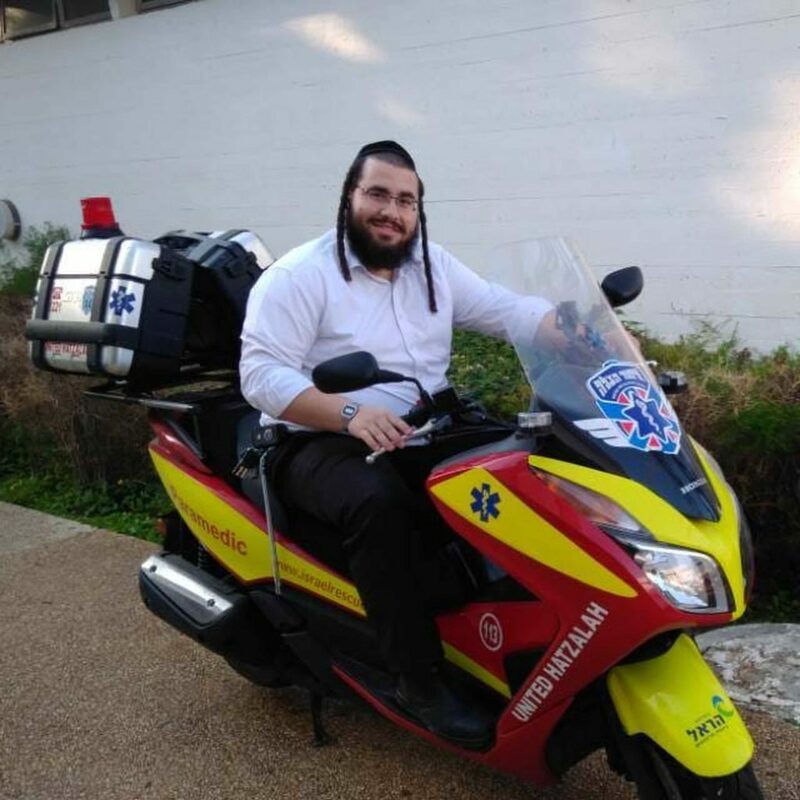 Mordechai Tzvi Noyman, a United Hatzalah volunteer EMT, was praying at a different synagogue when he got the alert. With a person’s life at stake, the dedicated volunteer ran outside to his ambucycle and sped to the address. Finding the rabbi pulseless, Mordechai began CPR right there in the middle of the synagogue. Mordechai connected a defibrillator and started chest compressions as additional medics joined him on the scene. The team alternated chest compressions with artificial ventilations and administered an extraordinary seven shocks from the AED. After a grueling 30-minute long CPR effort, the team could detect a pulse – the rabbi was alive. Mordechai assisted as the rabbi was placed in an ambulance and rushed to the hospital. It would be a few days before the rabbi regained full consciousness in the hospital, but when he did, his supportive family was by his side. This rabbi’s survival and recovery is due to the immediate CPR from the EMS volunteers who were nearby and arrived so quickly at the emergency. Without them, the story would have ended differently. This entry was posted in Uncategorized and tagged Bnei Brak, CPR, EMS, EMT, Rabbi, Shul, Synagogue, Torah, United Hatzalah. Bookmark the permalink.